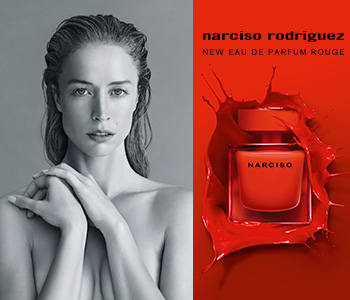 Redefining sensuality with a modern kind of elegance, Narciso Rodriguez’s Narciso Eau de Parfum captures a woman’s powers of seduction with the utmost luxury. An assertive and elusive fragrance, Narciso transforms the note of vetiver with Narciso’s signature musk, and a voluptuous association of tender florals, luminous woods and amber. The result: a most seductive, feminine fragrance that lingers and endures. An audacious vision of an alchemy of attraction.